There are a huge number of volunteering opportunities within SwimTayka. Whether it be in your home country or an exotic country, there is a role for you. We at SwimTayka are always on the lookout for extra help, and there are many different volunteering opportunities and roles to suit different skills. Whether you can spare an hour a week or an hour a day, your time really makes a difference. For those who prefer to be working on our programme, there are teaching and coaching roles, while all locations need volunteers on the administrative side for roles such as maintaining the website, operations or specialised work. We have a variety of roles we are currently recruiting for. These fall into two categories: those who support our swimming and education programmes in a country (such as in Peru and Brazil) and those who support the running of the organisation for example with social media marketing; website maintenance and fundraising. The swimming expertise of our volunteers and their passion for the world’s open water set SwimTayka apart. Passionate about swimming, and environmental water stewardship. 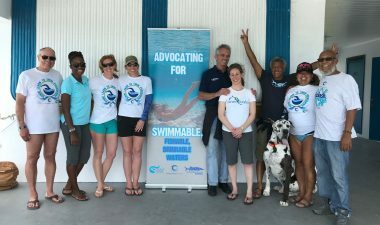 To be eligible to participate as a SwimTayka volunteer, you must have experience with either swimming or the environment. Proficient in the local language. The better you can communicate with the students, the safer it will be for them, the more they will learn, and the more rewarding it will be for you. If you do not have local language skills, you can still participate if we can pair you with another swim instructor who does have those skills. Prepared to cover the costs of your own international travel insurance with policy coverage for swimming and water‐related activities, as well as medical and political emergency evacuation. We also have a number of up and coming locations including Nepal, Mexico and USA, if you are interested in any of these please get in touch. Don’t wait to apply, apply now. Use the form below to get in contact. This will help us pinpoint the right contact for you. What roles would you like to know more about? How much time are you looking to commit to your role? Tell us which role and why you would like to apply and why? Would you like to be kept up-to-date with volunteering opportunities from SwimTayka through Volunteering News, a volunteering newsletter?